For this Unpacked Event, Samsung focused on what makes its Galaxy devices stand out—and improved on them. The Galaxy S6 edge+ is obviously bigger than the S6 edge; what’s more important, though, is how this gorgeous smartphone also makes a big step forward both in terms of usability and sharing with people. For the Galaxy Note5, its new S Pen takes versatility to a completely new level. It’s always good to celebrate the things that make us unique. Indeed, it’s these qualities that make life such a fascinating experience. 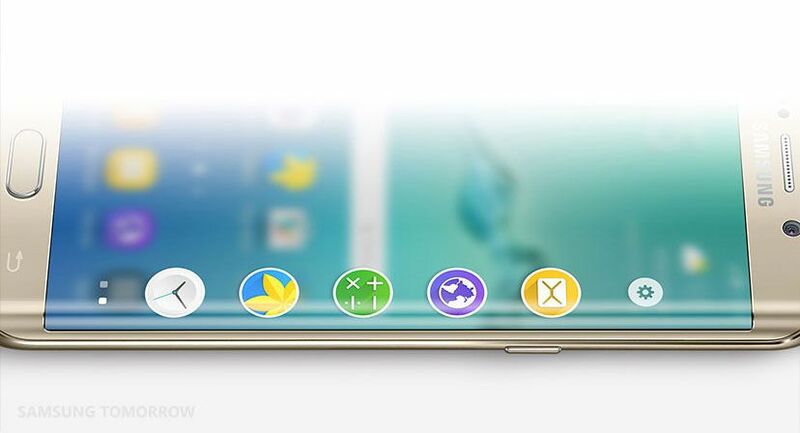 When it comes to Samsung devices, without a doubt the most stand-out feature is the edge screen on the Galaxy S6 edge. This design has been so popular and innovative that Samsung has given the edge even more functionality—and given the phone a larger brother with the launch of the Galaxy S6 edge+. When the Galaxy S6 edge launched earlier this year, it was heralded as a masterpiece. Its design was breathtaking, its functionality thrilling. But it was the edge user experience that separated it from the pack and that is where Samsung, as a constant innovator, has set a new standard for what a smartphone can do, and how we can use it. That’s why the Galaxy S6 edge+ is a natural progression, because if there’s one thing that Samsung is known for, it’s our dedication to offering our users a better, more complete experience. Yes, the S6 edge+ is bigger than the S6 edge, which means you’ll have much more real estate on which to create and enjoy visual media. But that’s only the beginning. 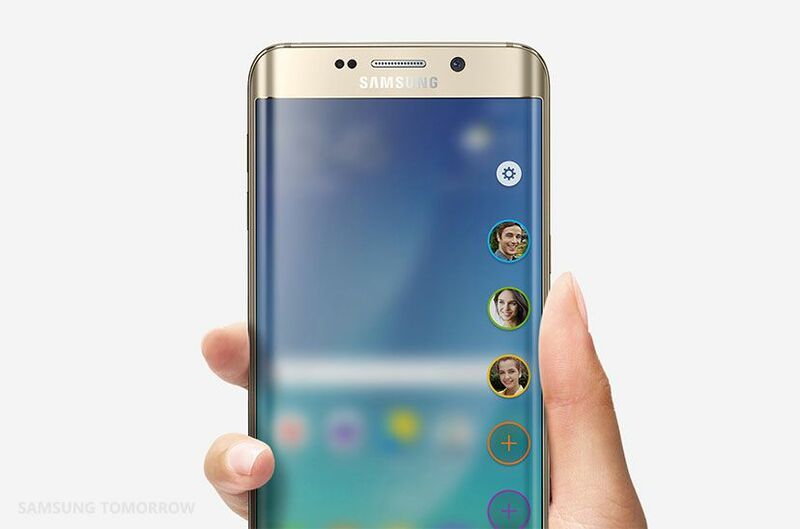 A whole host of new features makes best use of the edge functionality and can be found only on the Galaxy S6 edge+. They give users a whole suite of new ways to communicate and navigate the device. Firstly, you can now access your favorite apps on the edge display through Apps edge feature as well as your favorite contacts through the People edge. And you can put the edge handler wherever you want, on both sides of the edge display, even on the lock and home screens. The Apps edge shows shortcuts for most frequently used apps, and you can directly launch each app from this edge screen. The People edge enables users to easily make a call, send a text message, or e-mail your top contacts. New additions to the People edge are Handwriting, Emoticon, and Poking functions. For Handwriting, you can scribble a note on photos already stored on your devices, or take a new picture with your camera for instant annotations. You can, of course, send a handwritten note also without a picture background—and the recipient can save this note to their phone, should they wish to. One universal language we’ve all got used to when texting is the emoticon. Even if it’s just a simple smiley face, text-based communication has been brightened up thanks to these small symbols. On People edge, senders can choose and send plain and animated emoticons directly the edge, and recipients will see them at their end on their People edge screen. Want a more tactile means of communication? Poking might be right up your street. There are three different types of poke on People edge: knocking, twinkling, and petals fluttering. Knocking is delivered to the receiver as a haptic and ripple effect, which can be used as a short, secret signal between users. For example, the sender and receiver could agree in advance that three knocks means “coffee break.” Twinkling and petal fluttering will show on the recipient’s device like a drawing by hand. 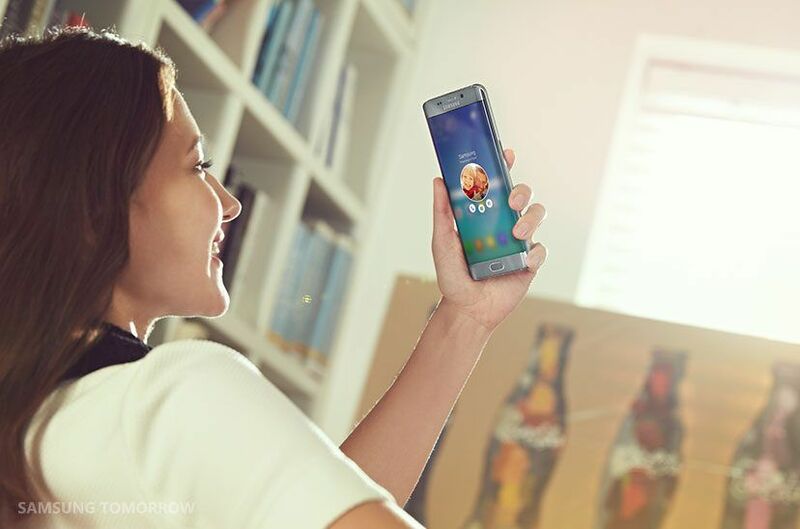 Ease of use and new ways of communicating with your closest friends and family will make the Galaxy S6 edge+ a stand-out smartphone in a crowded marketplace. The Samsung Galaxy Note is famous for its signature feature, the famous S Pen, and for the launch of the Galaxy Note5 it has been much improved. Moving through menus becomes a piece of cake and unlocks new functionalities. Among the enhanced S Pen functions of the Galaxy Note5 is the new Air Command, with a simpler menu that is focused on the three key functions of the S Pen: Action memo, Smart select, and Screen Write. Air Command also gives access to the three most frequently used apps. Launching Air Command is easy: Simply tap the floating pen icon that automatically appears when you take out the S Pen or press the button on the S Pen itself. Have you ever had to take multiple screenshots on your device, scrolling down page by page to see more? With Scroll Capture on the Galaxy Note5, you won’t have this hassle anymore. It’s possible to take a screen shot of a long page thanks to “Scroll capture”. Simply tap “Capture more,” and re-tap it until you select “Done”. After you’re done, you can annotate the captured image and then save or share it. 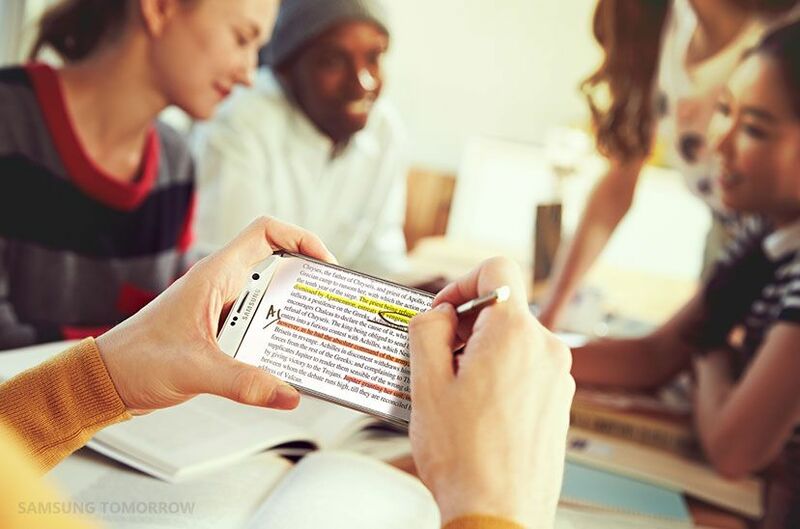 The S Pen also makes it possible to annotate PDFs, so when you’re out of office and need to review a file, you can make notes using the S Pen on your Galaxy Note5. 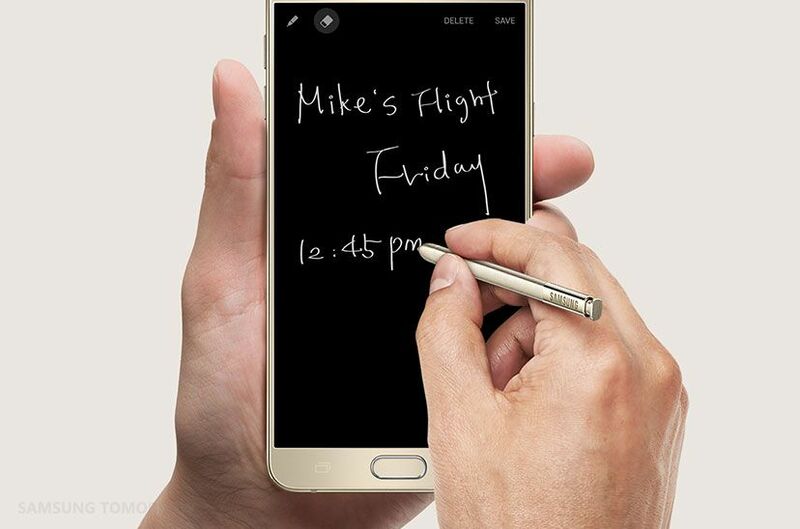 Samsung has also made it easier to take quick notes with the Galaxy Note5. There’s no need to unlock your device, because it can be a regular memo pad even when the screen is off. Take out the S Pen, and you can immediately start to write on your phone; the screen will still be black, but your writing will show in white. Both the dual edge display on the Galaxy S6 edge+ and the Galaxy Note5’s S Pen are exclusive to Samsung. Yes, both devices are clearly intriguing; however, they also go the extra mile when it comes to user-friendly functionality. Both smartphones are an evolution of previous Samsung products, but they show what’s at the core of Samsung innovation: constantly improving the user experience. Wearables Are Changing the Way We Live Inserted your Galaxy Note 5′s S-Pen backwards? Here’s how you can fix it!